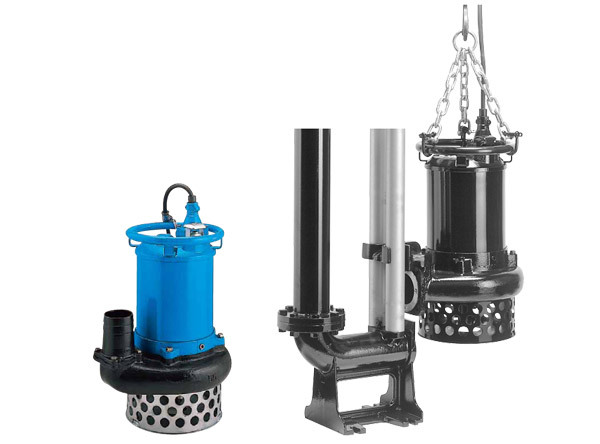 The NKZ-series is a submersible three-phase cast iron heavy-duty slurry pump driven by a 4-pole motor. 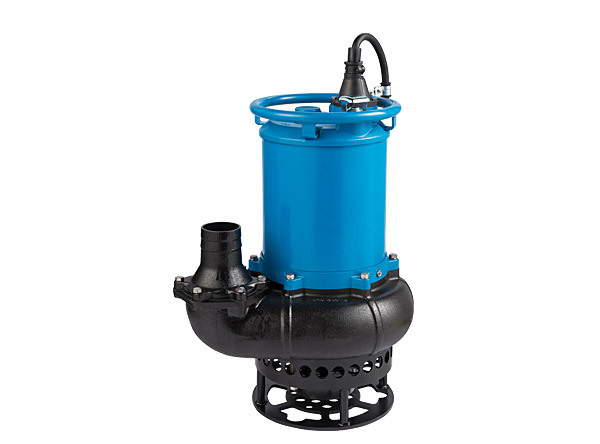 It is equipped with an agitator that assists smooth suction of settled matters. The side discharge, spiral design allows smoother passage of the sucked solid matters. The motor is cooled by a water jacket that assures efficient motor cooling even when it operates with its motor exposed to air. The use of guide rail fitting system improves convenience in the facilities such as, iron works, ready-mixed concrete plants, and wastewater treatment plants where the pump is to be installed with a fixed discharge piping. 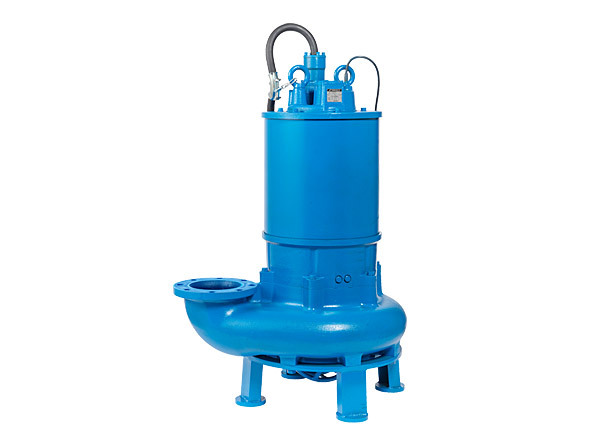 The GSZ-6-series is a submersible three-phase high power and high volume heavy-duty slurry pump driven by a 6-pole motor. In combination with abrasion-resistant wear parts, the very low speed motor ensures extremely long wear life. The side discharge, spiral design allows smoother passage of the sucked solid matters. The motor is cooled by a water jacket that assures efficient motor cooling even when it operates with its motor exposed to air.